Education, Field Trips & Outings – Southwest Honey Co.
Our Pollinator Education Experience- “Explore the Honey Bee” – will offer each “Adventurer,” no matter what his or her age, a genuinely unique learning experience. Students will find themselves on their feet, active, and utterly immersed in learning without even knowing it! When movement and laughter are integrated into learning, the impact is great! Ideas we explore include: The intricacies of the beehive, The role of pollinators in our ecosystem, How honey bees communicate, The anatomy of the honey bee, The importance of conservation minded thinking and living & more! The overall mission of our program is to open the minds of our students with an interactive learning experience that brings them outdoors and connects them with the natural environment. We will use the interaction and involvement of the students to help make their learning impactful. We truly bring the FUN into each learning experience! We have something for everyone; the creative, the adventurous and the curious. 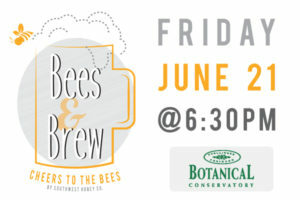 Spend your evening exploring the honey bee through hands-on fun including, beeswax candle making, sampling honey wine, observing a hive up close through our sealed observation hive or… for the brave ones, suiting up and visiting the apiary where you can see a real hive up close and personal. Senior fun! 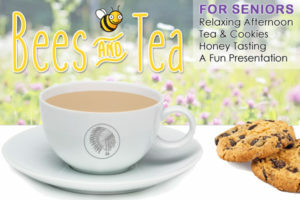 Presenting an afternoon with Bees And Tea! Come enjoy a relaxing time at the Southwest Conservation Club surrounded by nature, flowers, and natural beauties. Take a step back to your childhood, put on your adventure hat, and learn about honeybees in a fun, hands-on, exploratory way! You’ll feel just like a kid in science class again! If you’re looking for a program to come to you, then you’re in luck! “Bees and Tea” can come to you too!